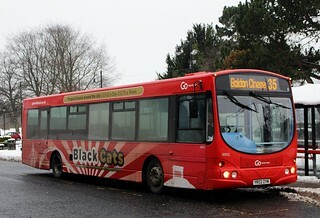 This vehicle has received "Black Cats" branding. 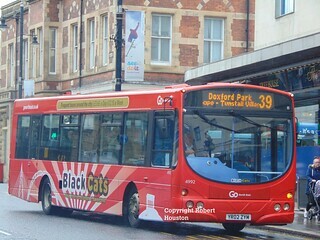 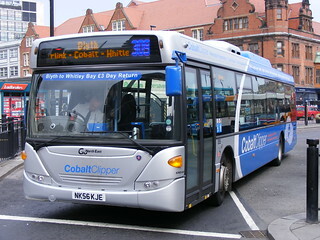 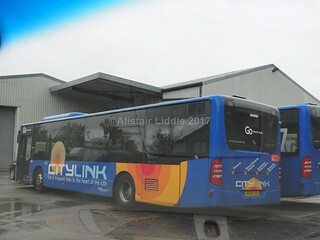 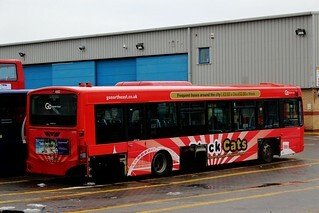 "Black Cats" is the new brand identity being introduced to encompass a variety of different frequent services in and around the city of Sunderland, promoting the cheap and competitively priced day and weekly tickets available for travel in the city (£3.65 for a day ticket, and £12.15 for a weekly ticket). 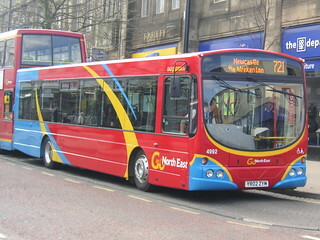 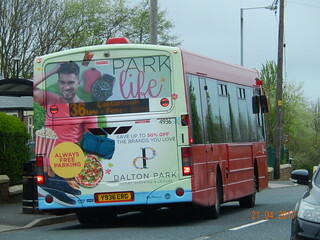 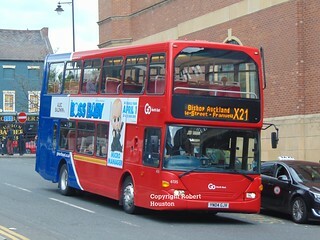 Having previously carried "Prince Bishops" branding, this vehicle has been repainted into a plain red base livery.